Sixth Sense STD in 5pt. Finished building it today. 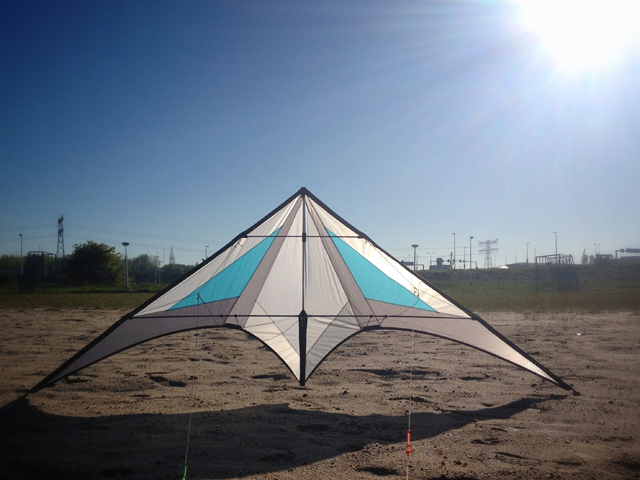 First impressions after a little session in variable wind: great kite. Too bad they discontinued the Caribean blue icarex. Such a nice color! 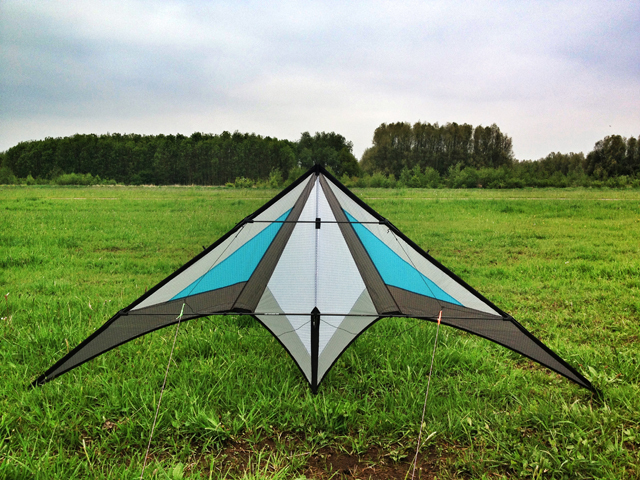 That blue is hot,but the kites so good looking any colour would go in that slot! How does it fly compared to the Nitro version? Well, i've had it on the lines for an hour in not too stable wind. Have to fly the Nitro and 5pt version in the same wind to compare. I've changed the tailweight system after the first session. I gues the weight distribution is a bit different compared to the Nitro version since the LLE is Nitro Strong. It's only a few grams difference so i might need to add a bit of extra weight to the adviced 25 grams. Still it feels quite solid. There were a few gusts and the frame could easily take it. No deformation or wingtip stutter. I mostly like the feeling of a 5pt frame a lot. I've never had any of the more exotic frames in my kites. No Aerostuff, Icone or anything similair. 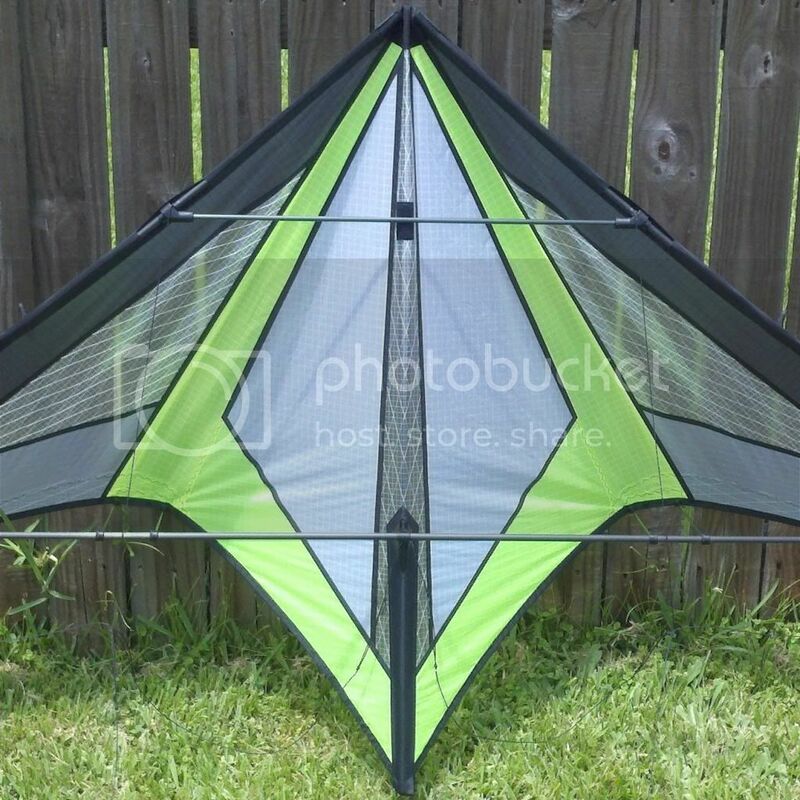 I've flown a few kites with those ultra stiff frames and i didn't always like the feeling. The Hugo might be an exception to that... great kite. Nice job! I had a 'Caribbean Blue' paneled kite before & you are right. It really is a good looking blue ...especially when backlit! The 6th Sense really is a worthwhile build! 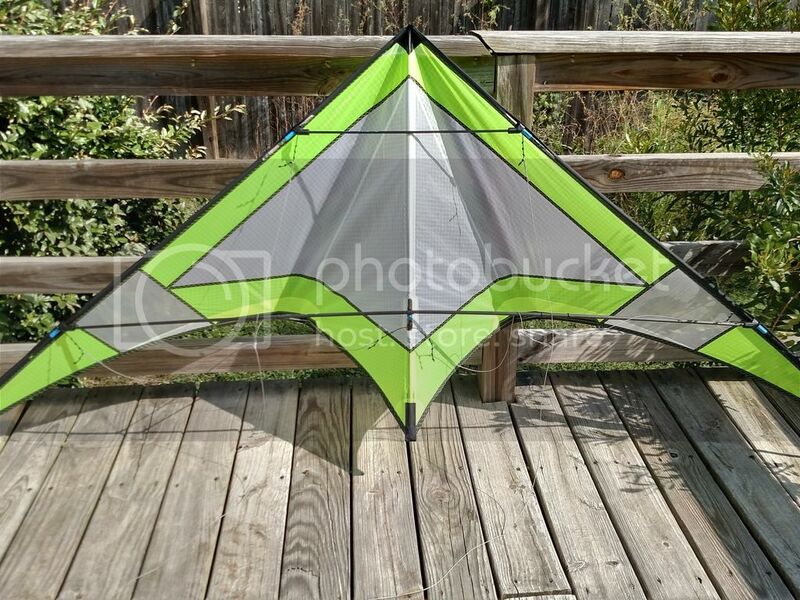 The Sixth Sense has a nice simplistic sail pattern that just putting together complimenting colors really brings out the kite. Great work on the build again Karehlo. Once I stop spending a million hours on color combinations I may actually get another kite finished! (really) short impression of the Sixth Sense, shot on my phone at my local field. Still have to experiment with the tail weight since i used different rods. Yoyo's are a bit slow.